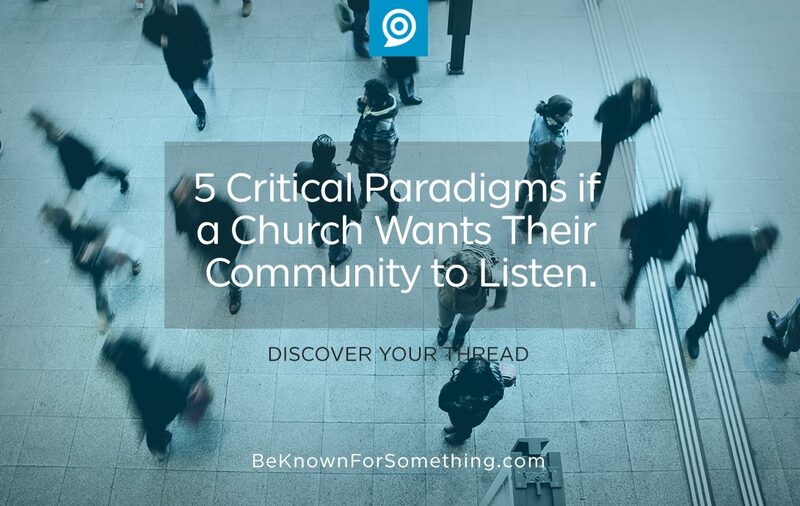 Be Known for Something : Discover Your Church Communication Thread / audience / 5 Critical Paradigms if a Church Wants Their Community to Listen. The Bible clearly says “go and tell”. But what if the community isn’t listening? I often hear Pastors say “we can’t make the community listen, it’s only up to us to tell”. Can you imagine if we took that approach with our kids? We’d be talking a lot without them paying attention (and our kids would be awful)! Let’s do what it takes for people all around us to listen. We need to formulate our messages so they’ll be received and processed. Sadly, the world has ignored the Church because our messages seem irrelevant to them. Few understand what the purpose of a church is. About a third of our communities don’t have any concept of what we actually do. And strangely, as I talk to congregations, I’m not sure it’s clear to most Christians why we “do” church. Establish it in your congregation’s hearts so that we can extend our purpose outside of our doors. Make it simple (not these long purpose statements)! Don’t assume they hear your message. 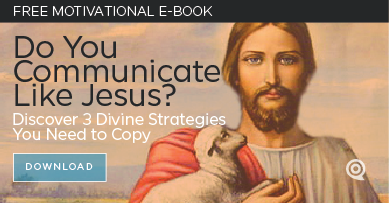 Many churches think they’re communicating enough. Are you posting to social media? Billboards? Ads? Don’t assume that the unchurched are paying attention. Most people are only half-listening and usually only to those things that interest them. Work on your headlines and stop saying so much — we have to stop creating marketing clutter! Don’t create a separate website for outsiders. When the community starts to listen, they’ll go to your website. What we know: they want to see what you’re all about. They want your benefit and solution to be intertwined through every page; not just promoted on a separate page or stand-alone website (or microsite). Use your entire website to demonstrate what you’re all about. Let them see true Christian community and fellowship. Then, they’ll not only listen, they want to attend.